Hi! My name is Geppetto. 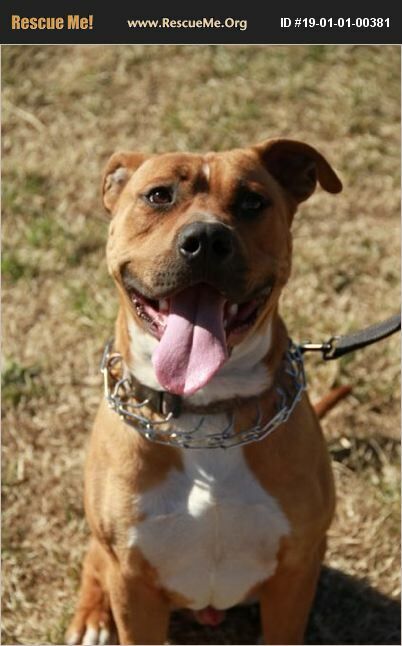 I am a 1 to 2-year-old male pit-bull mix. I am crate trained and I am learning to walk on a leash. I love toys. I mean I really love toys. I will be honest. I don't really like other dogs that much and I am not good with cats. Seriously cats annoy me. Am I right? Good news is, I LOVE people. You are a people, so I will love you. I even sit on command. How much better can it get? I am as handsome as they come, I have a great smile, I will sit on command and I will love you forever. Please give me a chance. Ms. Mary would be happy to set up a meet and great for you. Just fill out an application for me and send it to Ms. Mary. I know she will be sad to see me go, but I really want a forever home of my own.